At Jay’s Precision Pools we love our Pentair Pool products, especially their heaters and heat pumps! So when we saw this article they had posted about fall pool maintenance and other fall cleaning tips we just had to share it! With fall upon us and winter (regretfully) approaching it’s time to get this seasonal chore out of the way! If you are not looking forward to servicing your pool for the final time this summer, be sure to schedule your Jay’s Prescision Pools closing today! The beautiful leaves that will be drawn to homeowners’ pools this fall can be efficiently removed with the right set of pool-maintenance techniques and equipment, according to Pentair Aquatic Systems’ social community, Poolfyi. Despite their beauty, “fall leaves are one of the biggest physical and visual obstacles to homeowners taking advantage of their pools in the fall for extended swimming and poolside entertaining,” said Carlos Del Amo, VP of global marketing at Pentair Aquatic Systems, the world’s leading manufacturer of pool and spa equipment. In the fall, homeowners should perform several pool-maintenance routines more frequently to counteract leaves: emptying skimmer and pump baskets, checking the filter to ensure it doesn’t get clogged, keeping sanitizer levels up and backwashing. When leaves do collect in pools, homeowners can direct leaves more effectively to the skimmer by pointing their pools’ wall jets in the same direction to move water around the perimeter. 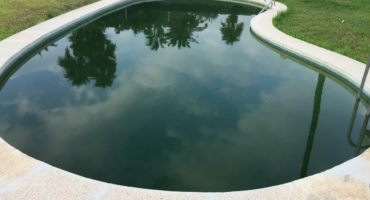 If leaves have settled at the bottom of a homeowner’s pool, they should be removed as soon as possible or they may stain the pool, especially concrete. Homeowners can find a local Pentair dealer for fall-maintenance help with our Dealer Locator and more pool resources on Poolfyi’s pool-tips pages. Leaf skimmers. Small leaf skimmers have relatively shallow nets and attach to telepoles for quickly capturing leaves and debris floating on the pool’s surface. Leaf Rakes. 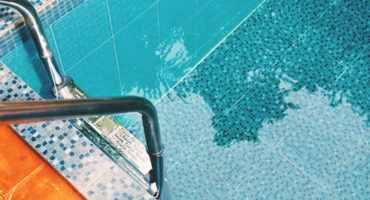 They connect to standard telepoles and include large mesh pockets to help pool owners collect leaves on the pool’s surface and floor. When using a leaf rake, pool owners should work around the sides first, then clean from the middle of the pool. Leaf traps. They resemble a small canister vacuum cleaner, and they’re used for removing leaves from the pool’s surface before they reach the skimmer, pump or filter. Leaf traps are powered by suction side pool cleaners or vacuum heads. Leaf eaters. They’re Venturi action top skimmers or bottom cleaners with a large collector bag and brushes and wheels on the bottom. Leaf eaters are powered by a garden hose or automatic pool-cleaner hose and connect to a standard telepole. They’re particularly good for pulling in leaves from the bottom of the pool and containing them for removal. This article was originally published on pentairpool.com. No matter if you are a do-it-youselfer or you want to schedule your closing with us, Jay’s Precision Pools is here for your every pool need from pool products to pool closings!